I had been patiently waiting for my last Story Charm to arrive, well that's a bit of a lie really, as I've actually not been very patient... having ordered it in mid-January from the UK, I was beginning to wonder what had happened to it. I'm pleased to report that having had to be ordered in especially, it has now made it's way from Denmark, to the shop, and now to it's new home on my wrist! Ironically, as this has taken a while to get to me I've succumbed again and ordered 2 more Story Charms while I waited for my dragon. I also tried to order a multitude of bracelets from the sales, one by one, but luckily for my Boiler Fund they all were eventually declared out of stock! Featured below is one of my "extras" aka Silver Faceted Purple Amethyst Drop that made it's way from the shop into my bead box... only it didn't quite get there as it went straight on my bracelet along with my new little dragon! Hmmmm, buying 3 charms has somehow morphed into 7 charms already! I'm not sure how good all this delayed gratification is for me; I thought it would help me buy less but I just seem to order things whilst I'm waiting! I'm so pleased that I've been able to complete one of my New Year's Bead Resolutions - I honestly didn't expect it to happen so quickly, but yet again I've completed one by February! In fairness without stumbling across the first sale and then seeking out the rest it wouldn't have happened quite so quickly. And congrats on finishing (and then some ;)) one of your resolutions! Thanks, he is wonderfully detailed and not too overpowering either. Looks great on his own and with other charms. It was actually the first charm I saw that I wanted, just took me a while to track it down. 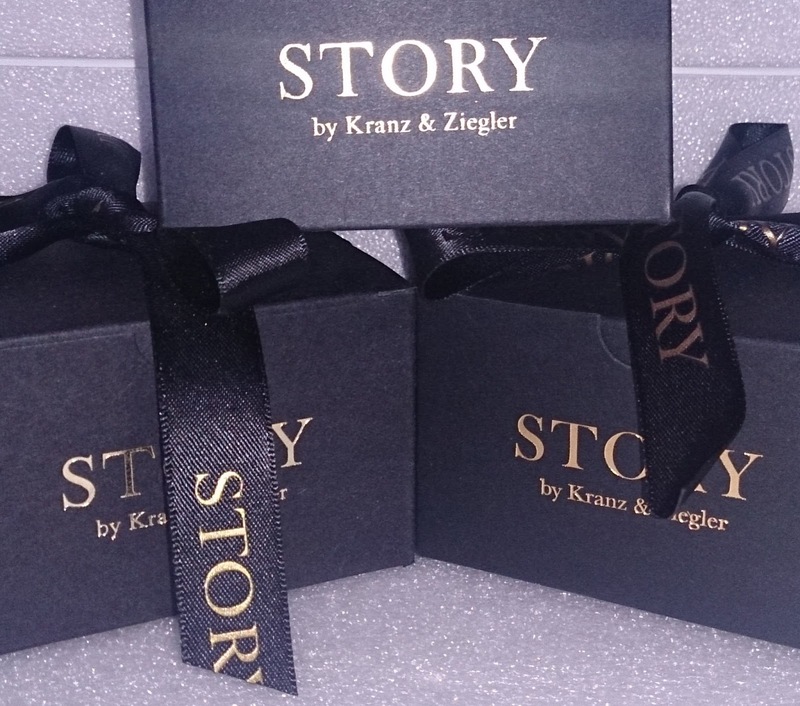 how do you like the quality of the story charms and bracelets? I just bought my first Rebeligion, and I love it! I love the quality of the bracelets - the lambskin leather is just super soft and supple and a delight to wear and I adore my garnet string one as it's one of my favourite stones. The black lambskin one I've used a lot as a stacked bracelet, it goes with my Troll bangles and X by Trollbeads really well and I've paired the green one off with a cloth wrap bracelet. I've been impressed with the dragon charm and the drop charms sit securely on the leather and there's no sliding around with any of them. I've hoovered up a lot of charms whilst the sales have been on so have been luckily enough to get 50% off some of them which has made it more affordable. Rebeligion - love that brand from afar! I've recently I bought 2 Rebeligion charms which are currently sitting in my bead box waiting for my first bracelet... They've had to order in the bracelet especially, possibly as I have quite small wrists so not sure they carry that in regular stock - however I've had an email to say it's just arrived so I should have it very soon. I can't wait!! Will be blogging it once I've road tested the Rebeligion one, I already love the charms that have arrived so hoping I love the bracelet just as much - will be interesting to see the difference between the two in terms of quality. What did you go for as your first bracelet? I don't know anyone locally who wears Rebeligion so it's always great to hear from others how they're finding it and what they love! Hi Karin, welcome to Curling Stones! That particular sale has ended now but a lot of retailers seem to be switching out Story for cheaper brands or clearing stock so I always wait for the sales! If you check out who are the stockists online it's always worth checking in with them as they will often have a sale page where you can then just search for Story. The dragon was one of the few not in a sale, if memory serves me correct he was from Sarah Layton who are actually have a sale at the moment!